Sometimes it is just nice to sit and watch a film that can entertain you without any explosions, car chases, political satire or smug irony. 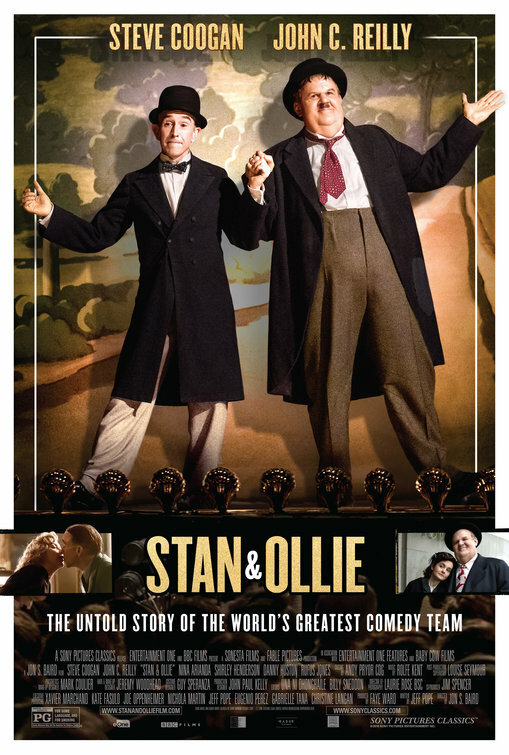 “Stan & Ollie” is the sort of picture that adults used to be able to see at a movie theater. 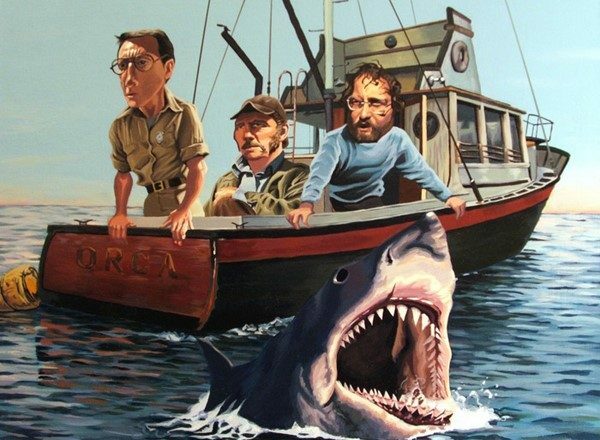 Most films of this sort get shuttled off to a streaming service where older audiences can enjoy them without having to mix with the youthful riff raff. Fortunately, some film makers are still interested in providing a theatrical experience and some older audiences are still interested in venturing out of the house on a Friday night. This is basically a biopic about one of the great comedy duos of the Twentieth Century. I do worry a little about the next generation having no context for films however, when the young lady taking my popcorn order asked me what I was going to see and I told her, she asked “What’s it about?” Of course my students probably think the same think when I ask who or what is Post Malone? So the problem does flow both directions, but I don’t work at a radio station or record store, she is working in a movie theater. I guess since she is not at the ticket counter, the only product she needs to worry about are the Sour Patch Kids. Anyway, that is neither here nor there. This movie focuses on a period of time where Laurel and Hardy were past their prime. It opens with a flashback to 1937 when at their height, they are involved with a contract dispute at RKO. Fifteen years later, they have returned to Great Britain to do a theater tour of their bits live on stage. It seems as if this is primarily to set the stage for a film project being put together but it has a whole set of events surrounding it to make it worth investigating. Unlike “The Sunshine Boys”, this is not about two old timers who hate each other getting back together out of necessity. The two have had their differences but are still deeply connected to each other and have many warm memories and patterns that they play out. There will be a boiling point over some old issues, but that is not the main focus of the story, it is about how these two men complement one another and value their professional relationship. If you need another reason to be irritated at the Academy Awards, take note that the excellent script, production design, make-up and performances were all ignored in this years list of nominees. I have nothing against Willem DaFoe, and I have not seen the movie for which he has been nominated, but if he gave a better performance than John C. Reilly or Steve Coogan, then he should be the favorite, and I know he is not. These two actors have embodied the real life characters so well that the physical transformations that come with hair and make-up are almost unnecessary. The genteel mannerisms, the quiet voiced frustrations of real life, seem to be legitimate extensions of the more exaggerated screen presence of the two. The two actors also play out scenes from Laurel and Hardy’s repertoire with sincerity and aplomb. The two leads are matched by actresses playing their wives who are equally excellent, although we have a harder time confirming veracity because we know those characters less. Shirley Henderson, who most of you will recognize as Moaning Myrtle, plays Ollie’s wife Lucille. She is as loving and engaged with her husband as a woman can be. Nina Arianda is Stan’s wife Ida, a domineering and aggrandizing presence in the life of the comedy duo.